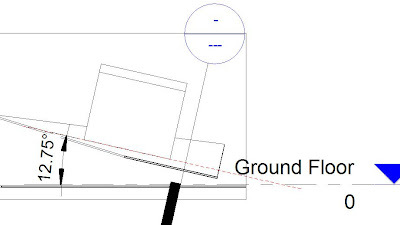 Revit Fix: Finding the true angles of a coplanar surface. Finding the true angles of a coplanar surface. 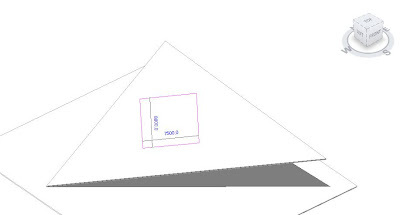 Ever since Revit 2008 we have been able to create floor and roof slabs by specifying points. 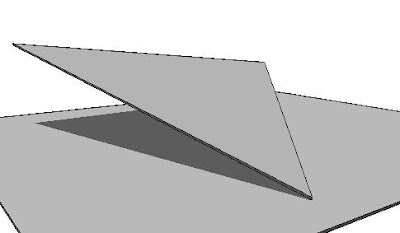 This can be a great tool, but how do you back engineer to find the appropriate angles to be able to set out the angle of this coplanar surface. On first glance it’s a bit daunting to try to thing to work out how to do it. Using Revit the answer is actually quite easy. Start off by setting the work plane to be the face of the surface. Then in a 3d view create an in-place family using a basic square cube. 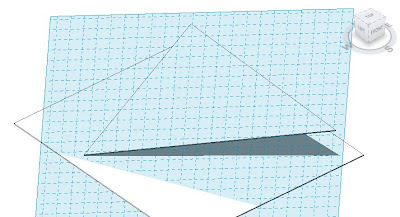 Note, use the rectangle line tool draw the shape. Finish out of the sketch. In doing this you have drawn the cube square to the coplanar surface. If you turn on the “work plane visibility” you will notice grid lines of the work plane are square to the plane. (You could have used these to help you draw the shape sketch). Now go to a plan view. 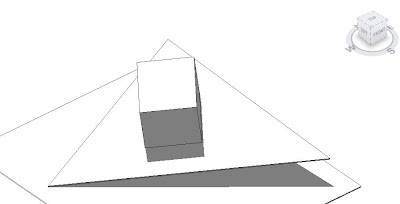 Change the view to wire frame, and draw a reference plane along the bottom on the cube as shown. This angle is the first angle of your setout. Now create a section parallel to the reference plane as shown above. 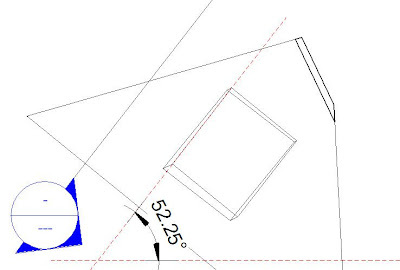 In this new section view, again use the bottom of the cube to draw a second reference plane. 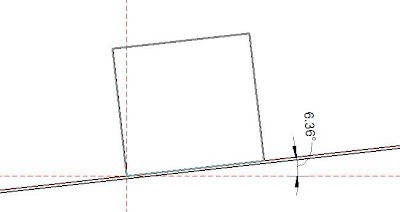 The shown angle is your second angle for setout. Now again draw a detail section again as shown above. This new view is not a true section perpendicular to the surface. The two reference planes visible here are the ones you have created in the two previous steps. And this gives you your third and final angle.